St. Stephen's Orthodox Church, Kattanam popularly known as 'Kattanam Valiyapally' situated at the heart of Kattanam - A calm and cool small town at Bharanickavu Grama Panchayat, Alappuzha District in Kerala is one of the prominent parishes under the Malankara Orthodox Syrian Church. There are about 1200 families and 8000 Members under the parish spread around Kattanam. The 178 years old church is a parish under the Mavelikkara diocese of the Malankara Orthodox Syrian Church. There are three 'Altars' in the church. The central one is dedicated to St.Stephen, This is used for regular services of the church. The altar on the northern side is consecrated to St. Mary and the altar on the southern side is consecrated in the name of St. George. 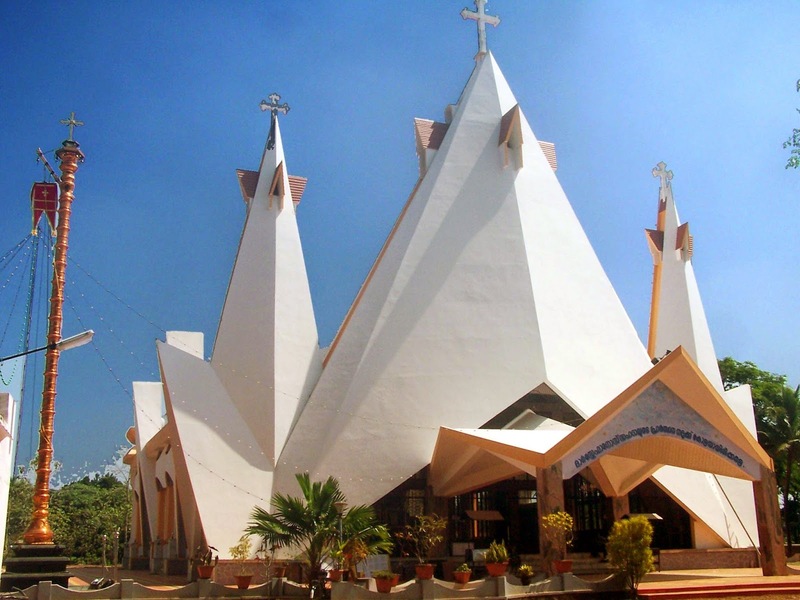 The church stands as a light house for the surrounding areas, showering blessings to the devotees. Kattanam St. Stephen’s Valiyapalli, a marvelous masterpiece with distinctive features contributed by modern architecture. In harmony with nature beauty and silence it offers the same harmony between different communities. So this church has become pride of Kattanam with 178 years of tradition. In the year 1009 (Edava Masam) the construction work commenced. This ancient church is full of blessings. This church has proven to be the symbol of royalness and auspiciousness. Irrespective of caste or creed those believe in St. Stephen have got answers to their prayers. Following the bells which ring at 6.00 a.m early morning, lamps are lit and the main doors are opened. These doors are closed after the evening prayers are finished at 7.00 p.m. Many believers who reach the church after the doors are opened get the blessings by offering their prayers till the doors are closed. This is only seen in Kattanam Valiyapally.